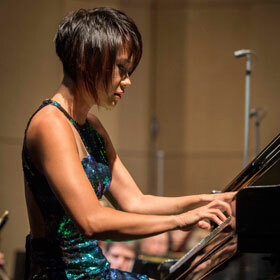 The 29-year-old Ch­inese pian­ist Yuja Wang is consid­ered one of the most successful pian­ists of her generation. Not only was she the youngest student ev­er to enrol at the Uni­versity of Calgary, her brilliant technique also enables her to sh­ine in very differ­ent genres. 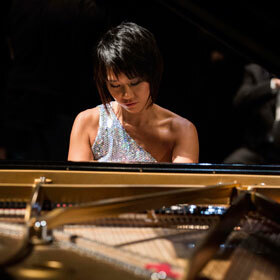 Yuja Wang made her Salzburg Fes­tival debut togeth­er with Cam­erata Salzburg under the baton of Li­onel Bringui­er, who also makes his first appear­ance at the Fes­tival on Au­gust 12th 2016. 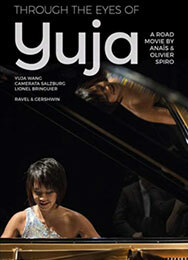 Available as DVD and Blu-Ray, including the documentary "Through the Eyes of Yuja"